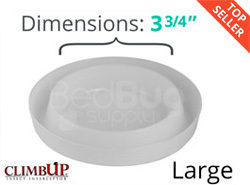 Bed Bug Alert Active Monitor offers a an effective way to monitor for bed bugs over a 24 hour period using heat to lure bed bugs into a sticky trap for detection. Simply setup the lure at night and allow to run in an unoccupied room. The room should remain unoccupied during usage to eliminate possible competition from the heat we naturally give off. 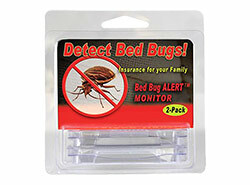 Bed bug Alert Active Monitor is an "active" monitor meaning that it attracts bed bugs to the source using heat. Bed bugs naturally use heat signals as one of the ways they detect their next blood meal, which is how the monitor works. Once the bed bug enters the monitor, they quickly become stuck in glue found in the interior of the trap. After 24 hours the monitor's top may be lifted allowing access to the interior of the monitor for inspection. To use the trap, heat lures must be purchased separately and come in packs of 2. We suggest running the trap for 4-5 days for more accurate results given bed bugs feed normally every 4-5 days. As mentioned above, the room should remain unoccupied during usage to eliminate possible competition from the heat we naturally give off. The Bed Bug Alert Active monitor is great for anyone that believes they may have bed bugs and is safe if used as directed with a top temperature between 135-145 degrees fahrenheit (be careful not to burn yourself and keep away from pets and children while operating). We recommend the Bed Bug Alert Active Monitor to any customer group including consumers, pest control professionals, apartment managers and hotel operators. BB ALERT® Active is a Bed Bug detector and monitor. 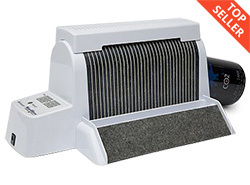 As its name suggests, it is designed to be actively attractive to Bed Bugs. Bed Bugs feed exclusively on the blood of warm blooded animals (specifically, people) and they use a number of "clues" to help locate their meals. BB ALERT® Active simulates the warmth and respiration that Bed Bugs use as indicators to find their hosts. 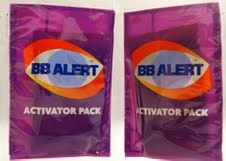 The BB ALERT® Active replaceable activator is supplied in a sealed package. When opened and exposed to the air it starts to generate heat and moisture, which together are mimics of the mammalian respiration signs that triggers a feeding response in Bed Bugs. The activator is placed inside the BB ALERT® Active base and enclosed by the insulated top cover. 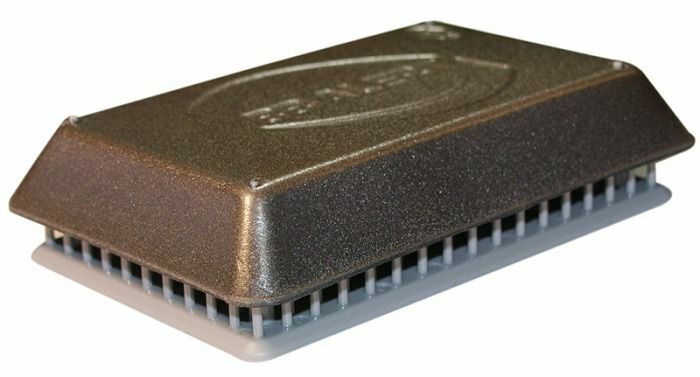 Around the base of the BB ALERT® Active are rows of small spikes. These mimic the hairs typically found on mammals, and provides discretion for the unit's contents. Inside the base of the unit is the insect adhesive that traps the Bed Bugs. Years of trials and field tests with "live" Bed Bug infestations have demonstrated that the BB ALERT® Active will detect large numbers of nymphs as well as adult Bed Bugs. 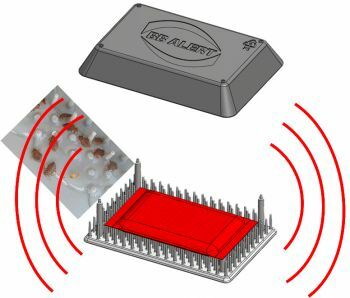 BB ALERT® Passive is a monitoring device to provide early detection of Bed Bug activity. Although Bed Bugs feed exclusively on the blood of warm blooded animals, they prefer to live in narrow spaces close to their host, such as cracks and crevices. When feeding, the Bed Bug becomes engorged and swells to accommodate the meal. This would prevent it from returning to the safety of its preferred harborage, and so it voids the excess water from its meal, retaining only the nutrients and solids. This leaves distinctive black sticky marks close to the resting sites. Q: How does it generate heat and moisture? Is it through a chemical reaction? Does it release any gas to the air? The monitor does work through a chemical reaction, slowly emitting warm carbon dioxide (which is technically a gas, though not at all harmful in such low quantities) when activated. Q: Is this reusable? If so, how do you dispose of the trapped bugs? Do you just remove the sticky portion of trap and if so where do you dispose the infested trap? Sounds like a great device but not it if it's not reusable. This monitor is reusable in the sense that you can replace the lures for continued use. 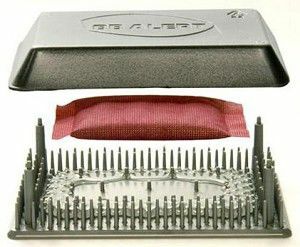 However, the sticky trap portion is not removable or reusable. Reviewed by: marianne riggins from moorestown. What a great tool to help monitor bedbug activity. So easy to use. Reviewed by: Joseph from Summit.